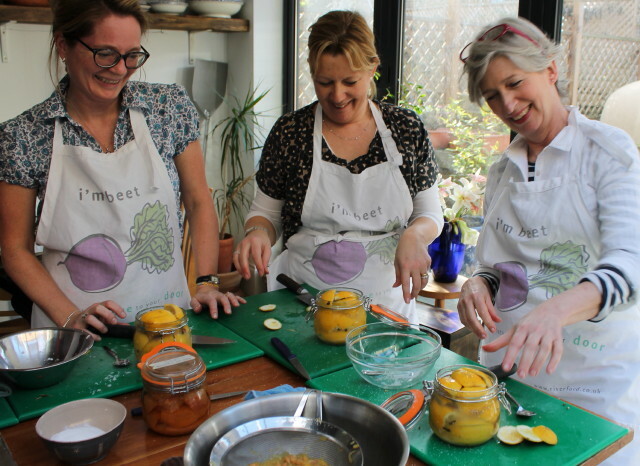 In partnership with Riverford, the lovely organic veg box people, I offer seasonal preserving workshops. 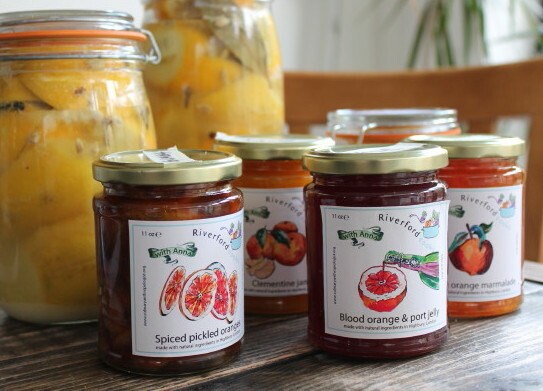 We cover all the basics of preserving fruits and vegetables and together we make five you can take home. 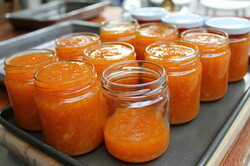 You’ll learn about sterilising jars, using sugar, salt and vinegar correctly as preservatives, reaching ‘setting point’ for jams and jellies, and more. Class sizes are kept small and very hands-on. As well as your filled jars, there are recipes and guidance notes to take home. 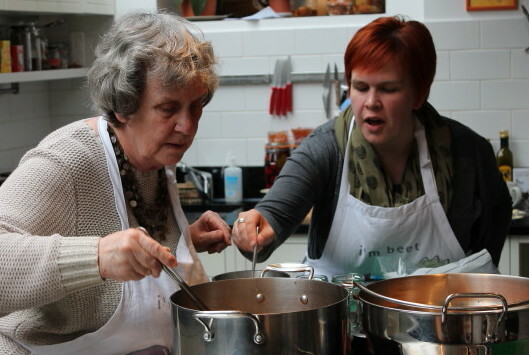 The pace was just right- a good combination of a bit of the science behind preserving, a hands on approach to learning, and the opportunity to chat and discuss. I think the size of the class was ideal. Please read the booking terms & conditions before booking your place. Thank you.